Mr. Metcalf is a member of the firm’s Intellectual Property, Litigation, Government and Utilities, and Healthcare sections. He has represented individuals, start-up companies and larger entities, including Fortune 500 companies. 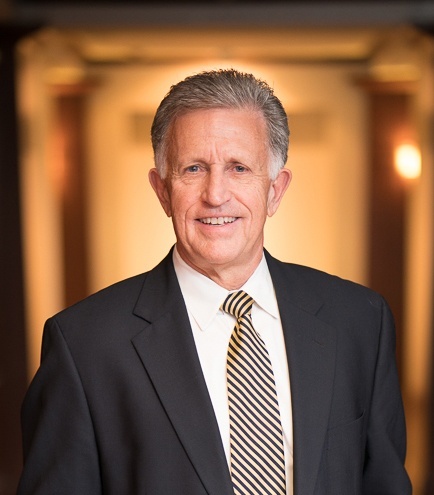 Mr. Metcalf is recognized as one of Utah’s Legal Elite in intellectual property, is AV rated by Martindale-Hubbell, is a Top Rated Lawyer by Martindale-Hubbell and has been recognized by Super Lawyers National and Mountain States Super Lawyers. He is a member of the firm’s Board of Directors. Mr. Metcalf has extensive experience in patents, trademarks and copyrights. He has successfully drafted and prosecuted well over 1,000 U.S. patents and related foreign counterparts. He has worked in a wide variety of technology and industry areas including medical devices, pharmaceuticals, biotechnology, automotive, defense, chemicals, materials, mining, explosives, and environmental. Mr. Metcalf has extensive experience in intellectual property litigation, including patents, trademarks, copyrights, media, and entertainment. Mr. Metcalf is a trained mediator in a wide variety of subject matter areas including intellectual property, contracts, corporate, employment, securities, real estate, and community disputes. Presentation, "Prosecution of Chemical Patent Applications in the United States"
Presentation, "Intellectual Property and Risk Management"
Presentation, "Pre-filing and Pre-Answer Investigations in Patent Cases"
Presentation, "Patent Strategies, Approaches to Protecting Your Intellectual Property"
Presentation, "Drafting Non-Infringement and Invalidity Opinions"